HEY, it’s Friday!!!! And it’s that day of the week where you get home from a long, hectic week at work and you might wish to make a little something to celebrate Friday Happy Hour. Or is that just my thing? Oh well. Anyway, you can make this adult beverage any old time and it serves as a festive warm cocktail for the holiday season. It’s kind of like making one of those super cool, uber expensive Starbuck’s beverages AT HOME for a lot less money. Oh, and you get to add alcohol to it too. Let’s start with the coffee. 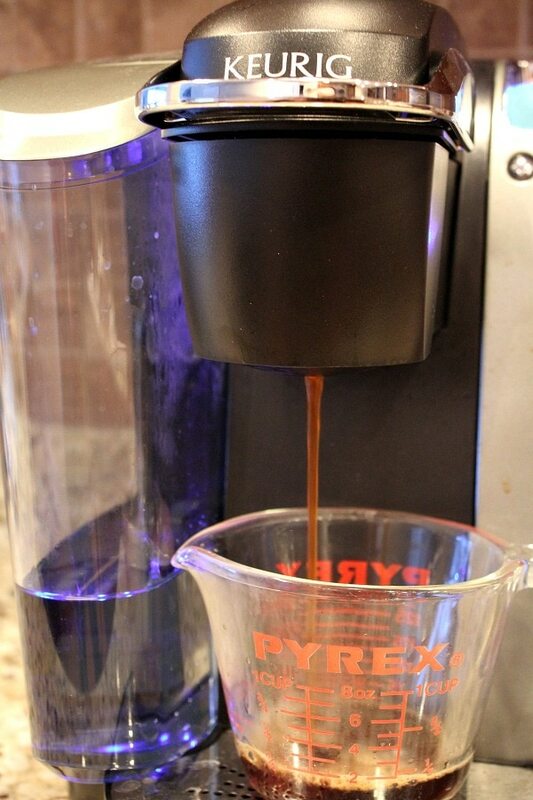 You can make your coffee whatever way you usually make it, but you only need 1 cup for this recipe. 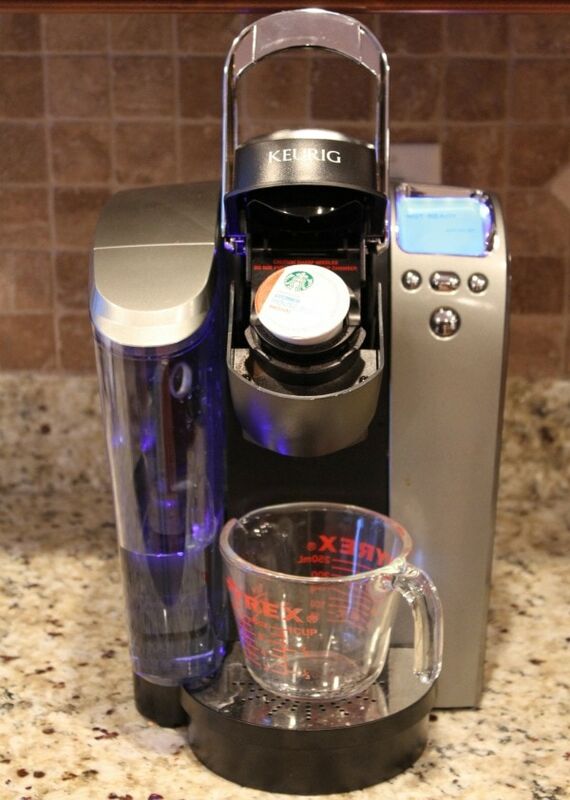 Do you have a Keurig? They’re handy like that. You can just make ONE cup of coffee. We used to have the mini Keurig, and then we recently upgraded to this fabulous Special Edition Keurig machine (after MUCH urging from my husband). You just fill the water into the basin on the side and then you don’t have to put water in every single time you want coffee. It’s so fast too! 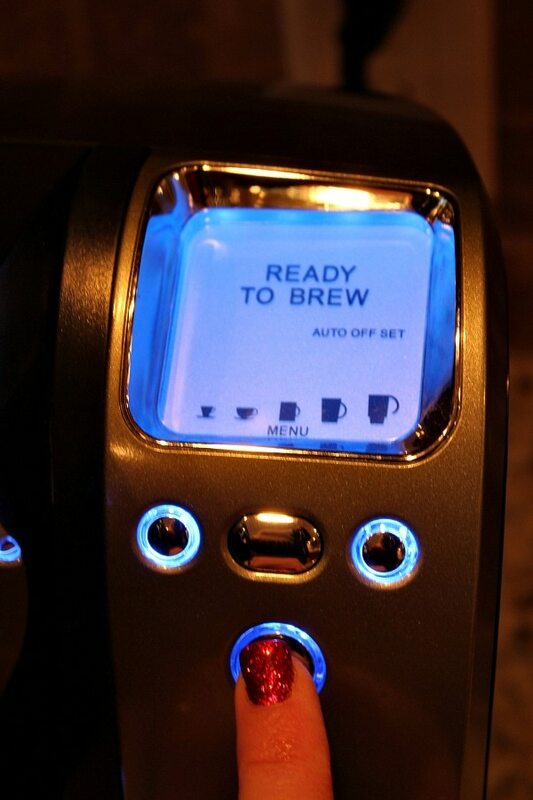 Pop the little coffee pod into the machine, shut the lid and press the button. BAM- coffee comes right out. No cleaning grounds or changing filters or anything. I love the Keurig for that. 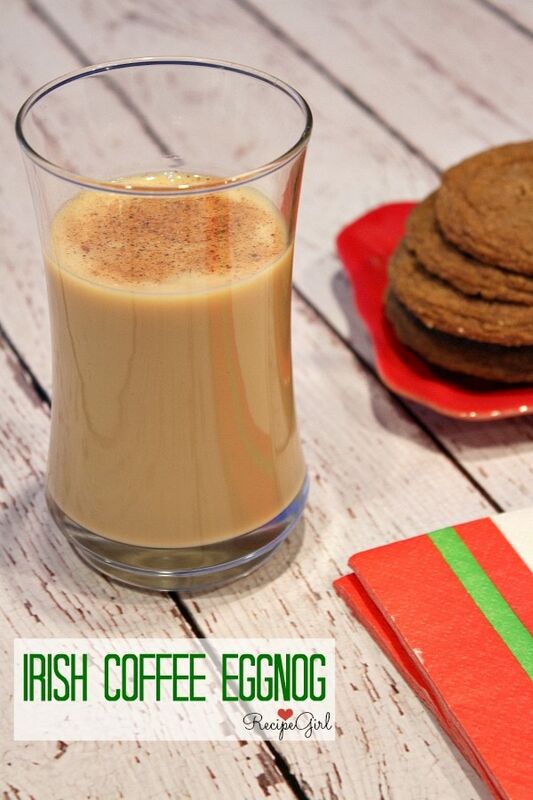 … then add the coffee to some eggnog (I used low fat eggnog and it was just as good). 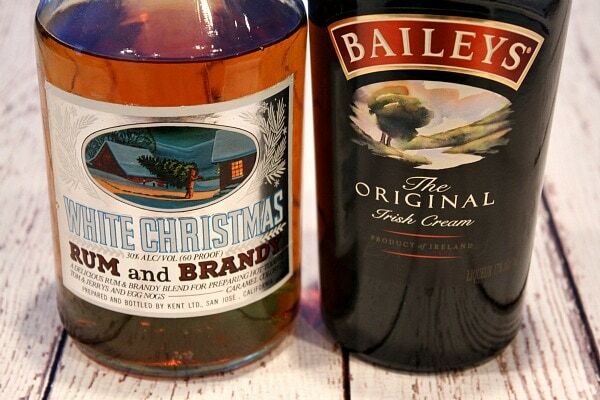 We’re going to add some cheer to this drink- so you’ll need brandy (or this White Christmas blend) and Irish Cream liqueur. … and the brandy. Stir. Done! 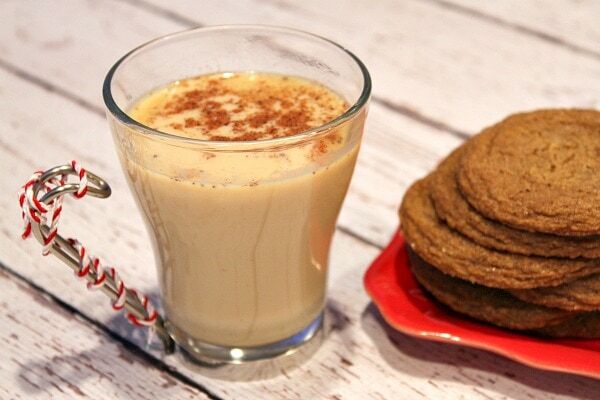 You can pour it right into a glass and enjoy it with a little nutmeg sprinkled on top. OR you can warm it slowly in a pan or in the microwave (or in individual mugs) to serve it as a hot beverage instead. I liked mine HOT since it has been like zero degrees here in the mountains of Nevada. Enjoy, Happy Friday, and Happy Holidays!! 1. 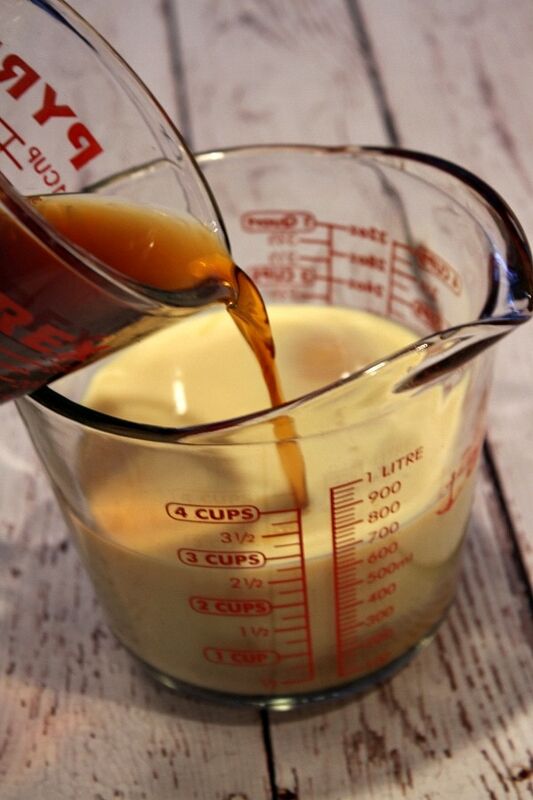 Pour the eggnog into a small pitcher or large measuring cup with a spout. 2. 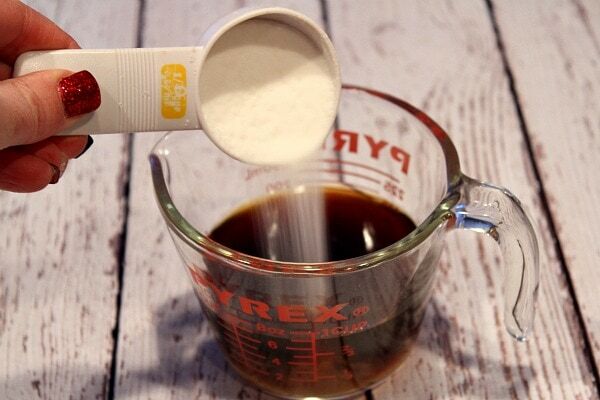 Stir the sugar into the coffee until dissolved. Let cool slightly. 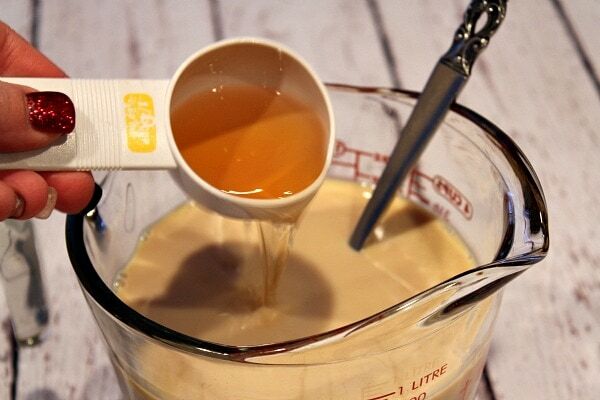 Then pour into the eggnog to combine. Stir in the Irish Cream and brandy. Warm, if desired, in small bursts in the microwave, or slowly in a saucepan on low heat... or serve at room temperature. 3. 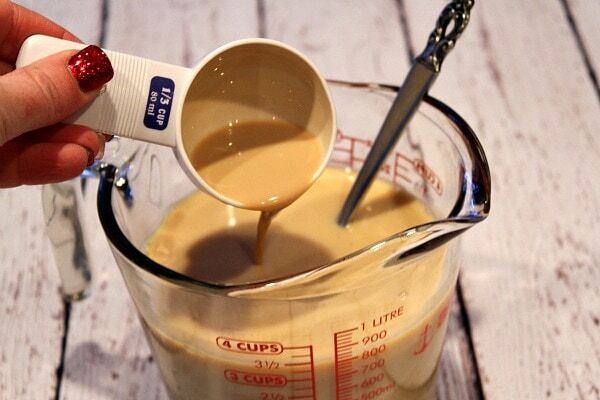 Pour into individual serving cups and sprinkle with nutmeg. Disclosure: There are Amazon affiliate links within this post. I was not compensated for this post, but Keurig did send along their fabulous coffee maker for us to try. We love, love, love it!